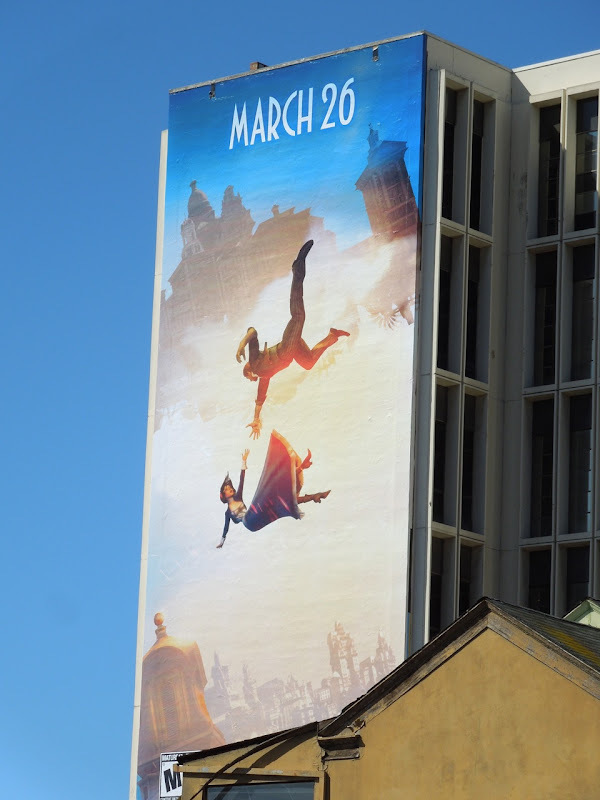 This super-sized set of billboards for the third installment in the BioShock game franchise certainly catches your eye and Daily Billboard find the imagery of the hero leaping for the falling damsel in distress especially compelling. Plus there's nothing like a burning American flag to get pulses racing. 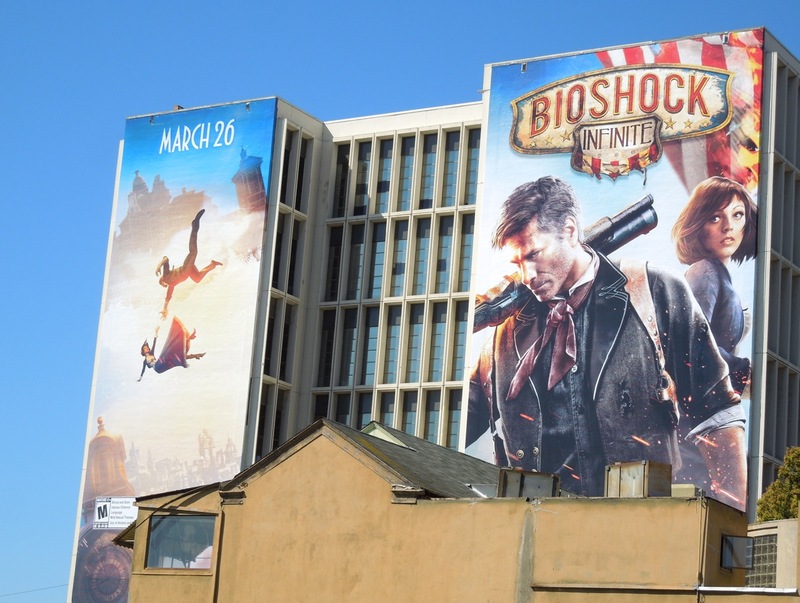 This first-person shooter is set in an alternate America of 1912 where you play 'Booker DeWitt', sent to rescue a young woman from the floating air-city of Columbia (no doubt blasting all manner of foes and overcoming obstacles that get in your way). 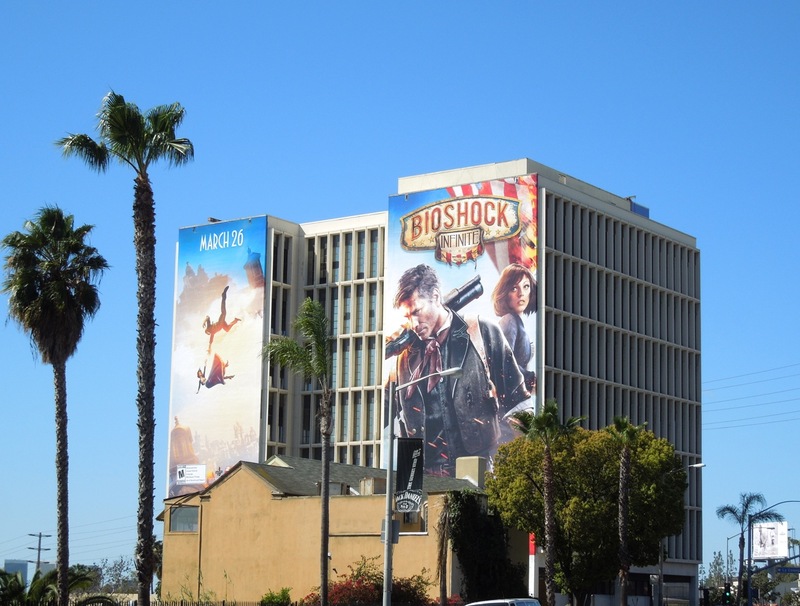 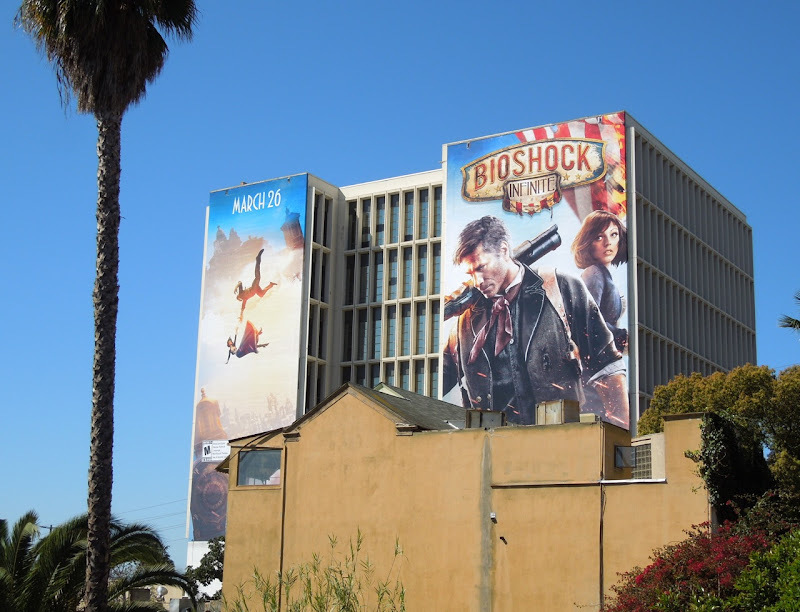 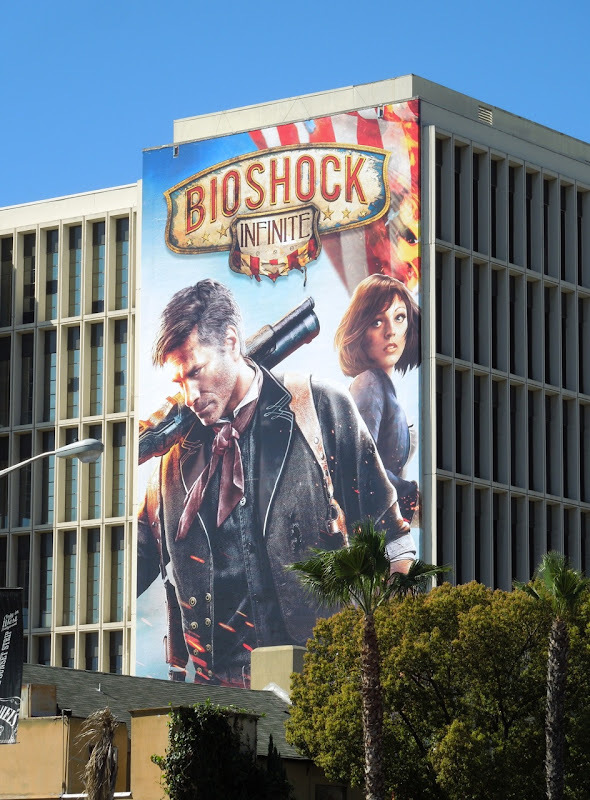 These colourful billboards for BioShock Infinite were snapped along Sunset Boulevard on March 9, 2013 and this billboard site seems a popular one with video game companies, as last September you could find a giant-sized billboard for Borderlands 2 in this same location. 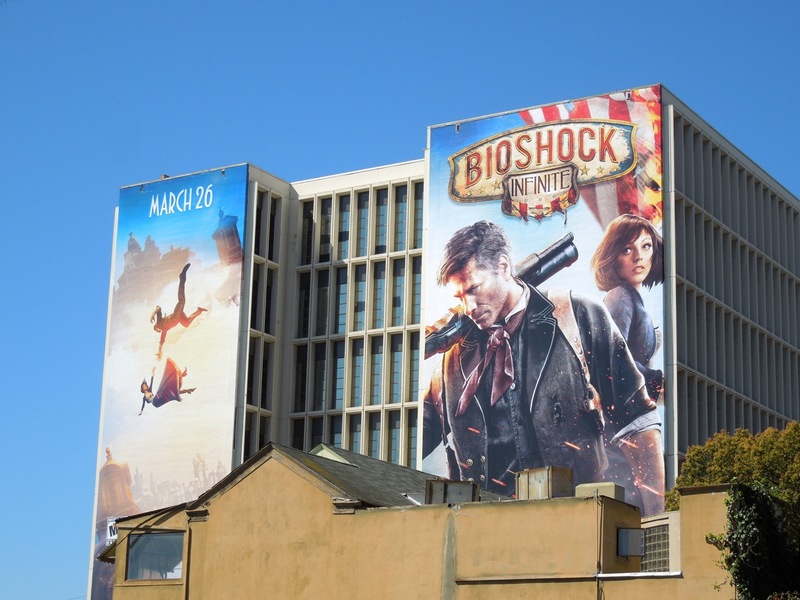 Be sure to check out all these other cool video game billboards too, like Assassin's Creed III, Call of Duty, Dishonored, Rage and more besides.